SNAIL :: View topic - New here? Introduce yourself! Posted: Fri Apr 11, 2008 6:11 pm Post subject: New here? Introduce yourself! I make this topic in order to new people can introduce them self. 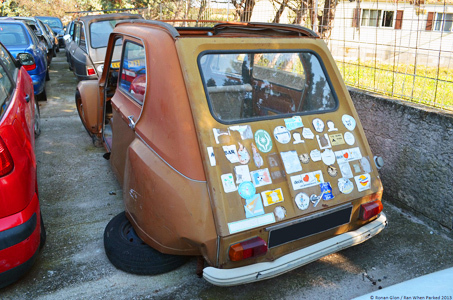 Some people have no custom 2cv, but they are interested about them, and they are welcome on SNAIL. No need to have a car to have something to say! hello, im max. and for the next few weeks ill be in a normal 2cv. its orange and has pink door pockets. its my sisters. Please do not post pics of that car! Hello, I am Fran form Croatia and I drive 2cv6 Charleston made in Slovenia - Cimos in 1986. Hello, my name is Laurent. I am 36 years old. I run(drive) in Citroen since the age of 18 years. My 2cv is moreover my first vehicle. It is one 2cv6 special of 1987. 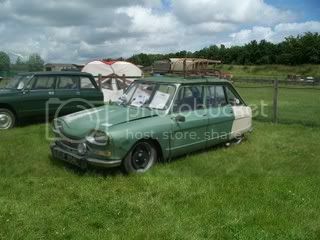 I also have a citroen acadiane ex-aerodrome. The engine is original and works impeccably. My plans: simply run with it! With a look "class race"
PS : I like the spirit of this forum but I cannot put into practice on my vehicules because I possess no garage. I also have to can walk all my family. Hi there, iï¿½m Pete and from Finland. My dream is to get my projekt to come true and someday drive my 2cv, which is quite like that Peking-Paris model. It was funny to meet Johan in Austria 2001 and found out, that there is allmost exactly the same kind of car, that iï¿½m planning to do... SO right now, i donï¿½t have running 2cv, but perhaps soon. 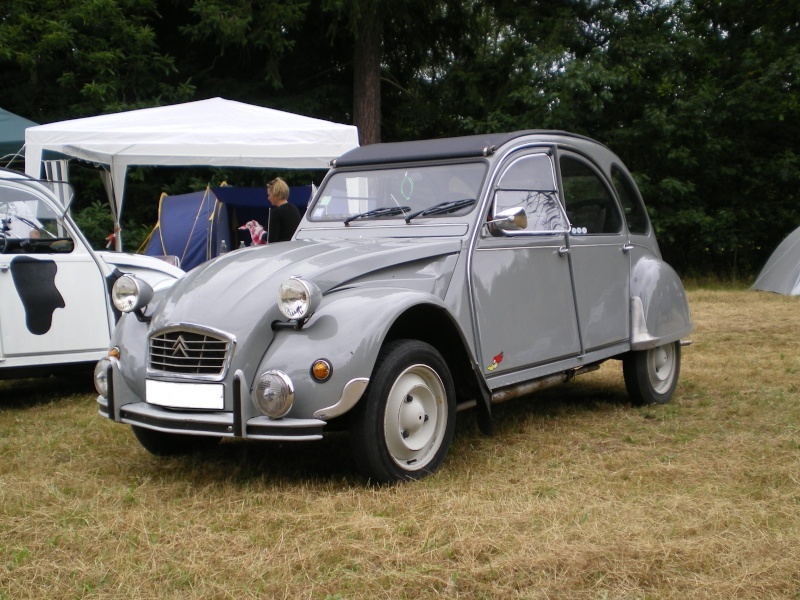 All my 2cvï¿½s are moore like rusty crap, than 2cv, but slowly, slowly. i have custom 's projet with 2cv, first an old 2cv with recent motor(602 or 652), and a pick up with no roof on base Ak 400 Azu or Acadianne, and an charleston yellow and black custom for my wife! But i need money! I'm Seb from Switzerland. I don't have (yet) any power/look mod project for a 2cv but I'll poking on here now and then to watch what's sizzling hot in the community. Right now I'm working on a AK350 travel car that's taking up much of my time, but when it'll have completed the trip for which it is intended (that's 2010 or so ), I might/will have more time to consider big engines and cool body curves. That black top chopped fenderless 2cv I saw on Olli's site definitely triggered sth when I saw it on the forum2pattes hotrod thread, so who knows what the future'll be?? Normal cars go to paradise, 2cv's go everywhere! I live in Australia and own a few VW's... 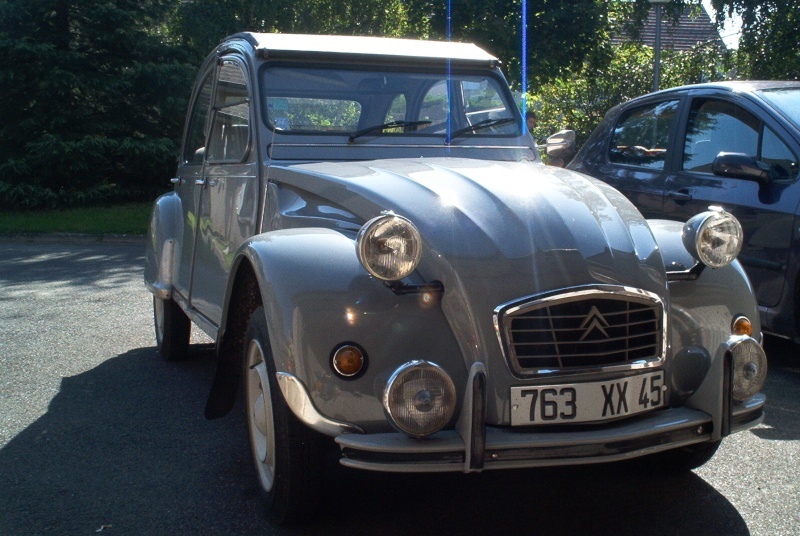 But my Mum wants a 2cv so i did some sereching and cam across this website, and wahoo! You're the second guy from Australia here! Posted: Sat Apr 19, 2008 3:13 pm Post subject: Aussie Aussie Aussie! Hey James I am also living in Melbourne! I have a 2cv and have some good contacts if you are interested, PM me and i can give you some info. Yeah sweet guys... BTW mate where do u get 2cv bits in Melbourne? Hi! I am Antoine, I am a young designer studiant. I liked 2cv before the age of speaking and get my first 2cv when I was 11... Today I drive a stock 79 2cv 6. For the moment, the only customs I make are on paper.